The Youth Football and Cheer Federation requires all staff members/volunteers at the league-level and those for each organization to submit to mandatory background check.This includes team officers, football & cheer coaches, team moms, etc. Each red-flagged record will be reviewed in accordance with applicable federal and state laws in conjunction with Federation policies and standards. 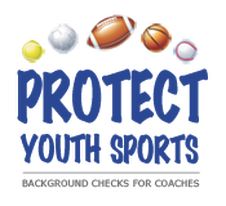 Our background checks are executed through Protect Youth Sports through a secure, online, customized volunteer portal. There are sometimes issues where the payment screen does not display on phones and tablets. Contact the Support Help Desk if there are any problems with completing the background check process. Please do not contact Federation officials as the process is managed completely by the vendor. The deadline is passed and no further background check submissions are being accepted for the 2018 season . 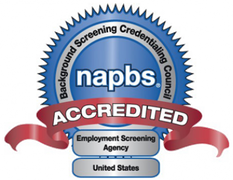 The NAPBS Background Screeners Credentialing Council (BSCC) has affirmed that Protect Youth Sports successfully proved compliance with the Background Screening Agency Accreditation Program (BSAAP) and is formally recognized as BSCC Accredited. Accreditation assures that a program has met quality standards set by a particular profession. This accreditation signifies Protect Youth Sports' commitment to the background screening industry and its valued clients. What it means to you is that our background screening best practices, high principles for data integrity and commitment to excellence adhere to strict measures and operational guidelines.